NaxHost Review 2019: Is NaxHost a Good Hosting? NaxHost provides inexpensive web hosting products backed by a solid infrastructure. Though based in Dhaka, Bangladesh, it hosts its customers on U.S. and U.K.-based servers. Formerly known as CyberHelpBD, NaxHost was founded in 2013 to offer web hosting solutions to the Bangladeshi market. It’s based in Dhaka, Bangladesh, but operates out of multiple data centers in the United States as well as one in the United Kingdom. Support is available in English and Bengali. 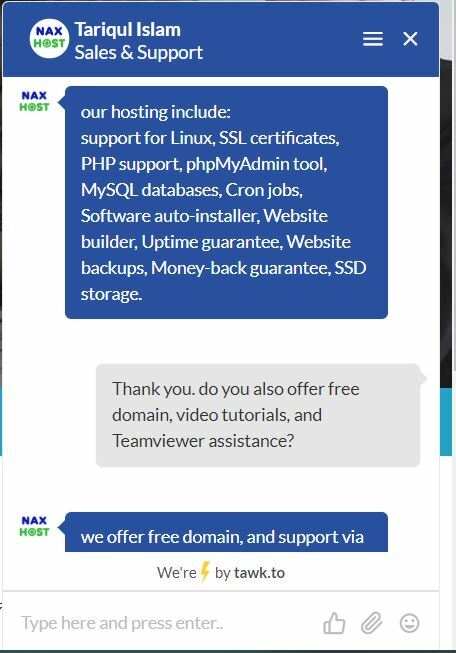 NaxHost provides a lot more than just basic features at a bargain. It can accommodate a variety of demographics such as students, professionals, SMEs, and even larger corporations. It offers student hosting, shared hosting, premium and corporate hosting, cloud hosting, reseller hosting, VPS servers, and dedicated servers. NaxHost also offers the user-friendly Weebly website builder at an additional fee. 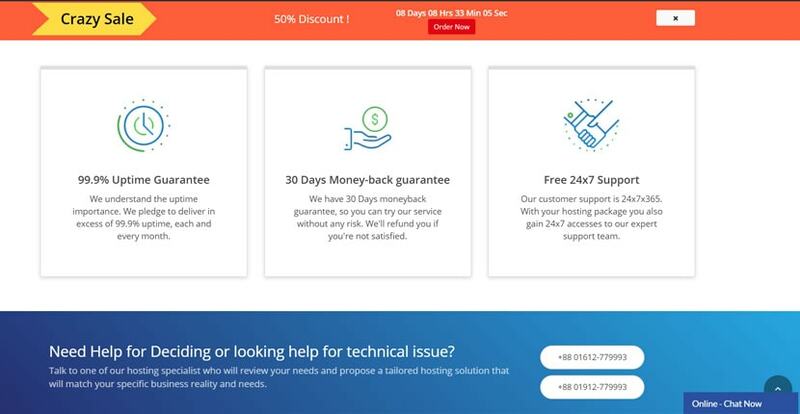 One of NaxHost’s best features is that it offers the SiteLock Security Suite free with its regular shared hosting plans. Though it’s only the Lite version, this is rarely found with most other budget hosting providers. If you already own a website and are looking to upgrade your business online, NaxHost’s VPS, cloud servers, or dedicated servers are your best options. The virtual servers use OpenVZ virtualization and offer you full root access along with at least one IPv4 address. These come fully managed as well. The dedicated servers are also all fully managed and come with DDoS protection as well as pre-installed and configured cPanel/WHM at no extra cost. NaxHost offers many different plans, from starter shared hosting packages to enterprise-grade dedicated servers. The Student plans are the cheapest, if you’re on a tight budget — though these only give you up to 500MB disk space and don’t come with a free domain. You’ll only get a free domain with Premium hosting plans. While all shared hosting plans (premium or not) are capped at 10GB storage, NaxHost’s cloud and SSD reseller plans have unlimited storage and unlimited data transfer. You can pay for your hosting plan via a few different methods including PayPal, bKash payment, bank transfer, and even Bitcoin. If you’re going for the Premium shared hosting plans, though, you’ll have to go for at least an annual contract: there are no monthly plans available. There’s a 30-day money back guarantee available, which should reduce some of the risk. NaxHost is very customer-focused and provides multiple support channels available around the clock through live chat, support tickets, Facebook, Skype, and phone. In my experience, the support team is very friendly; I got a response instantly via live chat and within a few minutes via email. Remote TeamViewer support is also available, though there aren’t many articles in NaxHost’s knowledge base. NaxHost delivers an affordable and reliable hosting solution suitable for beginners as well as corporations. The support is far better than expected and the plans offer great value for money. Wondering how NaxHost stacks up against other Web Hosting companies? Enter any other Web Hosting company and we will give you a side-by-side comparison.